The geography of economic activity in the 21st century represents a key concern for businesses, policymakers, and academics alike (Asheim and Gertler, 2005; Cooke et al., 2011; Audretsch and Belitski, 2017; Audretsch et al., 2006). To thrive, places must be capable of consistently generating wealth, jobs, innovation and opportunities in an everchanging socioeconomic and technological environment (Katz and Wagner, 2014). Nonetheless, the world of innovation and entrepreneurship is not flat but rather spiky: innovative firms and entrepreneurs tend to agglomerate (Stam, 2009; Feldman, 2001). Moreover, evidence suggests that the impacts of entrepreneurial activity can be mainly felt at the regional level (Acs and Armington, 2004), placing entrepreneurial ecosystems as a key aspect of public policy (Borissenko and Boschma, 2016). This is particularly critical in the context of developing economies struggling to reach an innovation-driven path for their productive structure. Moreover, the geography of innovation in these nations is frequently skewed towards some mega cities and their metropolitan areas introducing significant diseconomies of agglomeration (Fischer et al, forthcoming). The concept of the regional innovation ecosystem has in recent years drawn a lot of attention in the fields of technological change and innovation, entrepreneurship studies, economic geography and urban economics and has gained popularity with policy decision makers (Cooke et al., 2011; Boschma, 2005). Innovation and entrepreneurship are believed to be subject to increasing returns to scale as a function of agglomeration economies and the existence of a multidimensional socio-economic environment that fosters heterogeneous location of innovation. Moreover, knowledge intensive entrepreneurship (KIE) is highly dependent on local endowments in terms of knowledge, institutions, resources and demand (Malerba et al., 2015). Yet, innovation systems differ in terms of “entrepreneurial propensity”, i.e., the capacity to generate and exploit innovation-oriented opportunities. This is the underlying rationale of the concept of innovation ecosystems. The fact that KIE is deeply embedded in local contexts (Radosevic and Yoruk, 2013) poses fundamental challenges for analysts and policymakers, as one-size-fits-all initiatives and analytical models can be deemed inappropriate for most locations. The economic mechanisms that shape evolutionary trends in entrepreneurship are not of a linear nature and they operate differently in distinct locations with varying historical backgrounds (Boschma and Martin, 2010). In the context of developed economies, enabling conditions are strongly related to physical proximity, understood as an important feature of urban agglomerations, providing access to markets and, more importantly, to ideas. Densely populated areas provide a larger pool of individuals who can engage in innovation, entrepreneurship and creative endeavors (Glaeser, 2011; Feldman and Kogler, 2010; Stam, 2009). Large metropolitan areas are expected to have a disproportionately stronger activity of inventors than smaller cities (Florida et al., 2016; Li et al., 2016; Bettencourt et al., 2007). Emerging economies have tried to learn from these and have looked upon themselves to understand the specific contexts that will provide the socio-techno-economic ‘infrastructure’ to move in similar directions. There is, however, lesser direct evidence and shared understanding for developing/emerging economies (Glaeser, 2014; Fischer et al., forthcoming), especially those struggling to overcome the phenomena described by the terms “post-middle-income trap” and “catching-up” (Lee 2013; Lee, 2016; Lee and Malerba, 2017). Their efforts to address the multi-faceted challenge have attracted increasing attention to the role of technology upgrading in this process (Radosevic and Yuruk 2016). Researchers, policy makers, and practitioners struggle with a number of complex questions, many of which relate on local-global interfaces (World Bank, 2015; Fu et al., 2011; Pietrobelli and Staritz, 2017). Research finds that local level interactions and economic structure is key for innovation and KIE: How can cities/regions in emerging economies develop an economic structure to attract and generate innovation and KIE? Innovation and KIE are systemic phenomena and include many interactions between many local and global agents and are connected through feedback loops. What is the role of city-level initiatives in building an environment conducive to interactions between multiple agents aiming at achieving innovation-driven growth? What is the role of existing ventures in supporting the early stages of KIE? What is the relative importance of multinational agents in these matters? KIE emergence is affected by both agglomeration economies and diseconomies, such as those related to crime, land rents, infrastructure and local amenities. What is the role of local-level policy in addressing these issues and how it affects the potential for innovative endeavors? Connection to Global Value Chains (GVCs) has impact on local firms’ productivity and growth. How can city-level initiatives in developing economies foster local SMEs and KIE connections with Global Value Chains and encourage MNE to establish presence in these cities? Recent reviews have shown that the literature is moving in new directions indicating higher levels of complexity (Isaksen and Trippl, 2017; Stam and Spigel, 2016). Marcelo Knobel is Professor at the “Gleb Wataghin” Physics Institute at the University of Campinas (Unicamp) in Campinas, Brazil, and the Rector of Unicamp since April 2017. He is an Eisenhower Fellow (Multi-Nation Program 2007), a Guggenheim Fellow (2009), and Commander of the Order of Scientific Merit (Brazil). He is a member of the National Assessment of Higher Education Comission (CONAES). Professor Knobel has published more than 240 articles in refereed journals, mainly in the field of magnetism and magnetic materials. He has post-doctorate stages at “Istituto Elettrotecnico Nazionale Galileo Ferraris”, Turin, Italy, and “Instituto de Magnetismo Aplicado”, Madrid, Spain. Ph.D. in Physics from Unicamp and B.S. in Physics at this same univerisy. Mariano Laplane is Professor of Economics at the University of Campinas (Unicamp) in Campinas, Brazil, and the Executive Director for International Relations at Unicamp. He is the former president of the Center for Management and Strategic Studies in Science, Technology and Innovation (CGEE), in Brasilia. Professor Laplane has experience in economics, focused in industrial organization and industrial studies, acting on the following topics: industrial competitiveness, industrial policy and innovation, Mercosur economic integration, foreign direct investment and automotive industry. He holds a PhD Economics at University of Campinas, M.A. in City Planning – University of California at Berkeley, and B.A. in Social Sciences at the Hebrew University of Jerusalem. Carlos Américo Pacheco is Professor of Economics at the University of Campinas (Unicamp) in Campinas, Brazil, and the Executive Board CEO of the São Paulo Research Foundation (FAPESP). Professor Pacheco was Deputy Minister of Science and Technology (MCT) and President of the Board of Directors of FINEP (1999 at 2002). 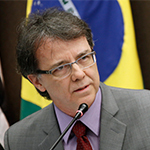 He was Under Secretary of the Economic Development of the State of São Paulo (2007), President of the Technological Institute of Aeronautics (ITA) (2011-2015), and General Director of the Brazilian Center for Research in Energy and Materials – CNPEM (2015-2016). He has experience in economics, focusing on regional and urban development and industrial and technological policies. He has post-doctorate stage in Economics at Columbia University, PhD and MA in Economics at University of Campinas and B.S. in Electronic Engineering at the Technological Institute of Aeronautics. Carlos Henrique Brito Cruz is Professor at the “Gleb Wataghin” Physics Institute at the University of Campinas (Unicamp) in Campinas, Brazil, and the São Paulo Research Foundation (FAPESP) Scientific Director. Professor Brito Cruz was a visiting researcher at the Quantum Optics Laboratory at the Universitá di Roma, at the Femtosecond Research Laboratory at the Universitè Pierre et Marie Curie, and a resident researcher at the AT&T’s Bell Laboratories, in Holmdel, New Jersey and in Murray Hill, NJ. At Unicamp he was the Director of the Physics Institute from 1991 to 1994 and from 1998 to 2002; Pro-rector for Research from 1994 to 1998, and Rector of the university from 2002 to 2005. He was the President of FAPESP from 1996 to 2002. He is a member of the Brazilian Academy of Sciences and a Fellow of the American Association for the Advancement of Science. He received the Ordre des Palmes Academiques de France, the Order of the Scientific Merit from the Federative Republic of Brazil and the Order of the British Empire, Honorary (OBE) in 2015. He holds a PhD and MA in Physics at Unicamp and BS in Electronic Engineering at the Technological Institute of Aeronautics. 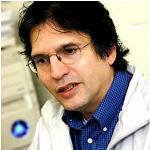 Sergio Luiz Monteiro Salles-Filho is Professor at the Department of Science and Technology Policy at the University of Campinas (Unicamp), in Campinas, Brazil, and the director of the Geosciences Institute at the Unicamp. Prof. Salles-Filho is the coordinator of the FAPESP Impact Evaluation Program and the coordinator of the Laboratory of Innovation Management in the Sugar-Energy Sector (Nagise). He was the Director of the School of Applied Sciences of Unicamp (2010-2013), assessor of the Deputy Minister of Science and Technology (2000), and head of planning of the Brazilian National Agency for Innovation – FINEP (2001-2003). He is the founder of the Group of Studies about Research Organization and Innovation (GEOPI). His research lines are STI policy and management, with emphasis in policy design, R&D planning and management, impact evaluation and foresight studies towards national development and economic and social growth. He has post-doctoral stage at the Manchester Institute of Innovation Research, University of Manchester (UK), PhD in Economics from Unicamp, MA in Energy Applied to Agriculture at the São Paulo State University (UNESP), and B.A. Agronomic Engineering at the Federal University of Rio de Janeiro (UFRJ). 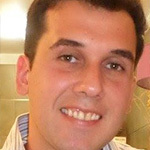 Sergio Robles Reis de Queiroz is Associate Professor at the Department of Science and Technology Policy at the University of Campinas (Unicamp), in Campinas, Brazil, and the Coordinator for Research and Innovation at São Paulo Research Foundation (FAPESP). He was Deputy Secretary at the Secretariat for Science, Technology and Economic Development, and Coordinator for Science and Technology at the Secretariat for Development in the São Paulo State Government. Prof. Queiroz was a Visiting Research Fellow at SPRU – Science and Technology Policy Research, University of Sussex, England, in 2000. He has experience in Economy, focusing on Technological Changes, acting on the following subjects: innovations, multinational corporations, automotive industry, pharmaceutical industry, foreign direct investment and technology capabilities. Prof. Queiroz received an engineering degree in 1978, from the University of São Paulo, and his M.Sc. and his D. Phil in Economics in 1987 and 1993, respectively, both from the University of Campinas. André Tosi Furtado is Professor of the Department of Technological and Scientific Politics at the University of Campinas (Unicamp), in Campinas, Brazil, and the Vice-Rector of Post-Graduate Research at University of Campinas. Prof. Furtado works in the fields of energy and innovation economy. He has published papers on the evaluation of great Brazilian technological programs, with special highlight to Petrobras’ deep-water and the China-Brazil Earth-Resources Satellite programs. Prof. Furtado carried out studies about innovation in sectors such as oil, aerospace and sugarcane. He also developed research on science, technology and innovation indicators applied to the industrial sector of São Paulo and Brazil. He received his BA, MA and Ph.D. in Economics from the Université de Paris I (Pantheon-Sorbonne). Newton Frateschi is Associate Professor at the “Gleb Wataghin” Physics Institute at the University of Campinas (Unicamp) in Campinas, Brazil, and the Executive Director of the Innovation Agency (INOVA) of Unicamp. He was the director of the Semiconductor Components Center Unicamp (2005-2010). He has experience in Physics and Electrical Engineering with emphasis on Materials and semiconductor Components, more particularly on the following subjects: semiconductor lasers, optoelectronics/photonics integration, optical amplifiers, micro and nanolasers, and silicon photonics. Prof. Frateschi is graduated in Physics at the University of Campinas (1984), master’s degree in physics from the University of Campinas (1986), Master of Electrical Engineering – University of Southern California (1989) and PhD in Electrical Engineering – University of Southern California (1993). Mariana Zanatta Inglez is the manager of the Unicamp Science and Technology Park and the Unicamp’s Technology Based Incubator. She has an academic experience in Industrial Economy, emphasizing topics of political and technological industry, innovation, and attraction of foreign investment. Mariana Zanatta holds MA and PhD in Science and Technology Policy from the University of Campinas and BA in Economics from the São Paulo State University (Unesp). Paulo N. Figueiredo is Professor of Technology and Innovation Management at the Brazilian School of Public and Business Administration (EBAPE) at the Getulio Vargas Foundation (FGV), in Rio de Janeiro, Brazil. He is a researcher studying the process of technological capability building at the level of firms and industries, its causes and consequences for industrial innovation and economic growth in developing economies. He is Senior Research Associate at the Department of International Development, University of Oxford (UK). He holds a PhD in Science and Technology Studies from SPRU – Science Policy Research Unit, at the University of Sussex (UK), MA in Public and Business Administration at the FGV, and BA in Business Administration at the Federal University of Mato Grosso do Sul (UFMS). Bruno Brandão Fischer is Assistant Professor at the School of Applied Sciences (FCA), University of Campinas (UNICAMP). His research emphasizes the topics of ecosystems and regional systems of innovation and entrepreneurship. Prof. Fischer holds PhD in Economics and Innovation Management (Universidad Complutense de Madrid, Spain). MSc in Economics and Innovation Management (Universidad Autonoma de Madrid, Spain) and in Agribusiness (Universidade Federal do Rio Grande do Sul, Brazil). Undergraduated in the field of Business Administration with an emphasis in Foreign Trade. Fernanda de Negri is a researcher the Institute for Applied Economic Research (Ipea). She is also a visiting researcher at the Massachusetts Institute of Technology (MIT). From 2012 up to 2017 she was the Director at the Division of Production and Innovation Studies of the IPEA. De Negri was the head of the Office of Monitoring and Evaluation of the Ministry of Science, Technology and Innovation (2011-2012) and economic advisor to the Ministry of Industry and Foreign Trade (2008-2009). She was also Deputy Director at the Division of Production and Innovations Studies at IPEA (2009-2010). Her research is concentrated on foreign trade, foreign investment, innovation and productivity. She holds a PhD and MA in economics from the University of Campinas (UNICAMP), and BA in Economics from the Federal University of Paraná (UFPR). Marko Monteiro is Professor of the Department of Technological and Scientific Politics at the University of Campinas (Unicamp), in Campinas, Brazil. He is the head of the GEICT – Group for Interdisciplinary Research in Science and Technology. He is a member of the Brazilian Association of Anthropology (ABA) and the Brazilian Association of Social Studies of Science and Technology (ESOCITE-BR). His research lines are focused on remote sensing technologies and the monitoring of deforestation in Brazil. Prof. Monteiro holds a PhD in Social Sciences from the University of Campinas, MA in Social Anthropology and BA in Social Science in the same university. Renato Garcia is Professor of Economics at the University of Campinas (Unicamp) in Campinas, Brazil. He was Assistant Professor at the Polytechnic School of the University of Sao Paulo (USP) during the period 2002-2014. He is deputy-editor of the Brazilian Journal of Innovation. Prof. Garcia coordinates a research project on the subject of Geography of Innovation and has publications in the area of geography of innovation, industrial clusters, evolutionary economic geography, university-industry linkages, and industrial policy. He received his BA in Economics from State University of Sao Paulo, MA and Ph.D. in Economics from University of Campinas. 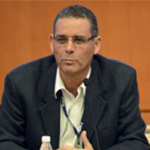 Ruy Quadros is Professor of the Department of Technological and Scientific Politics at the University of Campinas (Unicamp). He is the head of Laboratory of Technology and Innovation Management (LABGETI). He worked as a consultant in Vale, Petrobras, ThyssenKrupp, Eletrobras, CEPEL, International Paper, Renault, Visteon, Unilever, Odebrecht and Cacique Alimentos, as well as national entities such as CGEE, MCT, Fapesp and Seade and international companies such as UNIDO, OECD, ECLAC, INTECH and IDE / MITI. His research is concentrated on topics of innovation management, R&D strategies in Brazilian subsidiaries of multinational companies (with emphasis in the automotive sector), and the development of innovation indicators. Prof. Quadros holds a BA from the the FGV’s São Paulo School of Business Administration (EAESP), MA in Political Science from the University of Campinas and PhD in Development Economics from the University of Sussex (UK). Janaina Ruffoni is Professor of Economics at the University of the Sinos Valley (UNISINOS) where coordinates the Research Group of Economical Dynamic of Innovation (GDIN). 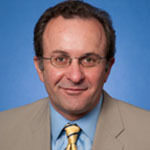 Prof. Ruffoni works mainly in the Economics of Technology and Industrial area. Her research emphasizes innovation dynamic of the firm, geographical proximity and transference of knowledge between firms and institutions, university-company interaction, innovative capability of the firm and public perception of science and technology. She holds a PhD Scientific and Technological Politics from the University of Campinas. MA in Science and Technology Management from Federal University of Rio Grande do Sul (UFRGS) and BA in Economic Sciences from this same university. Eduardo da Motta e Albuquerque is Professor at the Department of Economic Sciences and the Center for Development and Regional Planning (Cedeplar) at the Federal University of Minas Gerais (UFMG). He has published several papers and books related to topic of Innovation Systems in developing countries. 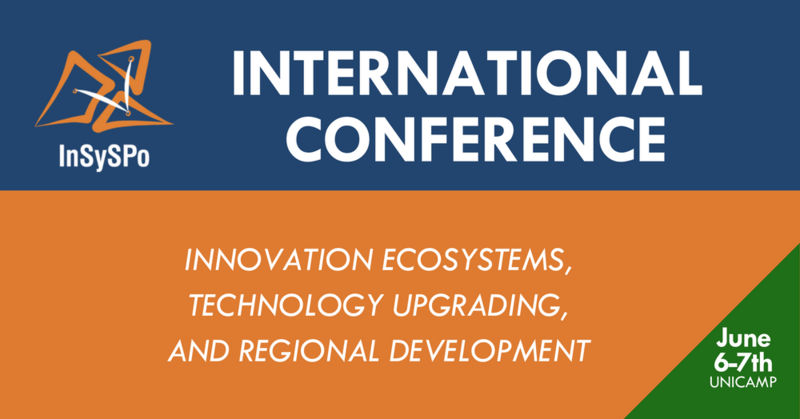 One of the books is “Developing National Systems of Innovation: University–Industry Interactions in the Global South” in partnership with Wilson Suzigan, Glenda Kruss, and Keun Lee. He recently published the book “Metamorphosis of capitalism and process of catch-up” (in Portuguese). Prof. Albuquerque has post-doctorate stage at the King’s College (UK). He holds PhD in Economics from the Federal University of Rio de Janeiro (UFRJ), MA in Economics from the Federal University of Minas Gerais and BA in Economics from University Center Newton Paiva. Janaina Pamplona is Professor at the Department of Science and Technology Policy (DPCT), Institute of Geosciences – UNICAMP, Brazil. Currently she holds a research scholarship from the Brazilian Institute for Applied Economic Research (IPEA). In addition, she has developed research on the knowledge production and use in Engineering in Brazil. Professor Janaina has published in journals such as the Brazilian Journal of Innovation, Journal of Responsible Innovation and CEPAL Review. She is a referee in Brazilian and international journals (such as, Brazilian Journal of Innovation, Research Policy and Telecommunications Policy). At SPRU she worked in research projects funded by ESRC/UK, EPSRC/UK, United Nations University/IDRC, and the European Union. Her main research interest is in systems of innovation in developing countries, networks of innovators, network governance in high-technology industries and technology policy in developing countries. She holds a Ph.D in Science and Technology Policy Studies from SPRU/University of Sussex (UK), a Master’s degree in Science and Technology Policy Studies from UNICAMP, and a BA in Economics from UNICAMP. Anwar Aridi is a Private Sector Specialist at the Europe and Central Asia (ECA) unit of the Trade and Competitiveness Global Practice at the World Bank. He is the coeditor of Innovation Policy: A Practical Introduction (Springer Books 2014 with Vonortas, N. & Rouge, P.). Anwar specializes in science, technology, and innovation policy issues, private sector development, technology entrepreneurship, and technology transfer. He holds a Ph.D. in Public Policy and Administration from the Trachtenberg School of Public Policy and Public Affairs, a M.Phil. in International Affairs from Elliot School of International Affairs, both at the George Washington University (USA), and a BA in Computer Science from Lebanese American University (USA). Ron Boschma is a Professor of Regional Economics at Urban and Regional Research Centre Utrecht (URU). He has been member of the Research, Innovation and Science Experts (RISE) High-Level Advisory Body to European Commissioner Carlos Moedas in 2015-2016. Since 2015, Boschma is Board member of the International Regional Studies Association. Professor Boschma was ranked by Thomson Reuters among the top 1% of cited researchers worldwide in 2014, 2015 and 2016. In 2013, Ron Boschma received a Honorary Doctorate in the Natural Sciences from Marburg University in Germany. He is member of Royal Holland Society of Sciences and Humanities since 2009 and fellow of the Academy of Social Sciences since 2012. Boschma’s main research interests are: evolutionary economic geography, spatial evolution of industries, geography of innovation, proximity and relatedness, structure and evolution of spatial networks, agglomeration externalities and regional growth, and regional diversification. He holds a Ph.D in Economics from Tinbergen Institute (NLD). Yannis D. Caloghirou is Professor of Economics of Technology and Industrial Strategy at the National Technical University of Athens (NTUA) and Director of the Laboratory of Industrial and Energy Economics. He is Head of the Innovation and Entrepreneurship Unit at the NTUA and research associate in the Network Management & Optimal Design Lab at NTUA. In addition, he was chairman of the Scientific Council of the National Documentation Centre (EKT), the national infrastructure for scientific documentation, online information and support services on research, science and technology. He served as co-Rapporteur of the EU High-Level Policy group on the Economics of the European Research Area and was member of the Governing Board of the European Network of Excellence DIME (Dynamics of Institutions and Markets in Europe). He holds a Ph.D. in Industrial Economics from National Technical University of Athens (Greece), a M.Phil. in Plant and Process Design from University of Strathclyde (Greece), and a BA in Economics from University of Athens (Greece). Otaviano Canuto is Executive Director at the Executive Board of Directors of the World Bank Group and its Affiliates. He represents Brazil, Colombia, Dominican Republic, Ecuador, Haiti, Panama, Philippines, Suriname, and Trinidad & Tobago. He is also a member of both the Committee on Development Effectiveness (CODE) and the Budget Committee. Prior to this position, Otavio Canuto served in the following capacities: Executive Director of the Board of Directors of the International Monetary Fund (IMF) for Brazil, Cabo Verde, Dominican Republic, Ecuador, Guyana, Haiti, Nicaragua, Panama, Suriname, Timor Leste, and Trinidad & Tobago (2015-2016); Senior Advisor on BRICS economies at the World Bank (2014-2015); Vice President for Poverty Reduction and Economic Management Network (PREM), World Bank (2009-2014); and Vice President for Countries at the Inter-American Development Bank (2007-2008). In Brazil, in the year 2003, he was State Secretary for International Affairs at the Ministry of Finance. He holds a Ph.D. in Economics from the University of Campinas (BRA), and a M.Phil. in Economics from the Concordia University in Montreal (CAN). Gustavo Crespi is a Lead Specialist in the Competitiveness and Innovation Division at the Inter-American Development Bank. He also served as Senior Program Officer at the International Development Research Centre (IDRC) of Canada. He has written and published numerous articles in journals such as World Development, Research Policy, Industrial and Corporate Change, Journal of Technology Transfer, Oxford Review of Economic Policy, Technovation, Small Business Economics, etc. Crespi is a member of the Editorial Board of Journals: Policy Research and The International Journal of Learning Technology, Innovation and Development. His interests include: industrial development, technological change, industrial structure and development of the firm and management, and technology policy evaluation, especially in developing countries. He holds a Ph.D. in Science and Technology Policy Studies from Sussex University (SPRU), a M.Phil. in Economic Development and International Trade from the School of Economics and Business Administration of University of Chile, and a BA in Economics from the National University of Cordoba (ARG). Yongsuk Jang is a Senior Research Fellow of the Science and Technology Policy Institute (STEPI), a policy think-tank for science, technology and innovation (STI) policies in Sejong (KOR). Prior to his current position, he had worked as a senior research scientist at the Center for International Science and Technology Policy (CISTP) of the George Washington University (USA) and remains as a research associate in the same institute. He consults various domestic and foreign government agencies and international organizations including OECD, APEC and IDB. He actively publishes and involves in a number of academic associations such as American Evaluation Association (AEA), The Korea Society for Innovation Management & Economics (KOSIME), and so on. He serves as a vice-chair to the Committee of Science and Technology Policy (CSTP) of OECD. He also serves as the managing editor of STI Policy Review, an international journal on STI policies. His primary research interests are STI policies with focus on R&D program evaluation, industrial R&D collaboration, national innovation system, and international cooperation for innovation. Recently he focuses on innovation for development and science diplomacy. He holds a Ph.D. and M.Phil. in Sociology from Stanford University (USA), and a BA in Sociology from Yonsei University (KOR). Jeong-Dong Lee is Professor in the College of Engineering at Seoul National University (KOR). Professor Lee now actively consults for the government and private sector. He served as the Principal Coordinator for the Asia-Pacific Productivity Conference (APPC) in 2006 and as the President for the Korean Productivity Association (KPA) in 2011, and is President-elect for the Korean Corporation Management Association (KOCOMA) for 2017. He was the principal investigator of UNDP (United Nations Development Program) project for the innovation policy case studies for developing countries from 2011-2013. Professor Lee published five books and edited two including “Productivity, Efficiency and Economic Growth in the Asia-Pacific Region” by Springer Verlag in 2008. He also published more than 60 articles in peer-reviewed academic journals. He is one of the editorial board members of Technovation, one of the editorial advisory board memebrs of Science and Public Policy, one of the international advisory board members of National Research University-Higher School of Economics (Moscow), one of the editorial board member for ‘Science, Technology and Innovation Studies’ of Springer Pub. co. His main research topics include industry and firm dynamics, productivity and efficiency analysis, evolutionary economics, and innovation policy. 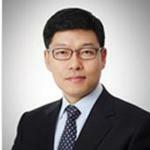 He holds a Ph.D., a M.Phil and a BA in Engineering from Seoul National University (KOR). 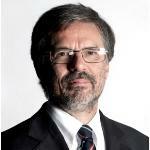 Franco Malerba is Professor of Applied Economics at Bocconi University in Milan, Italy. He is also president of ICRIOS, a research center at Bocconi University. Professor Malerba is editor of the Journal Industrial and Corporate Change, advisory editor of Research Policy, and Associate editor of the Journal of Evolutionary Economics. He has been President of EARIE (European Association of Research in Industrial Economics) and of the International Schumpeter Society. 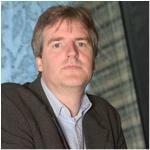 He has been in the advisory board of Max Planck Institute of Economics-Jena; SPRU- Sussex University; CRIC- Manchester University; EU High-Level Panels for “New Innovation Indicators for Europe” and for “A New European Innovation Policy”. He has been a visiting scholar at the Department of Economics, CEPR and SIEPR, Stanford University; Max Plank Institute-Jena; University of Queensland; University of Stellenbosch and Louis Pasteur University- Strasbourg. 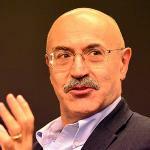 He was the winner of the Schumpeter Prize in 2012. He holds a Ph.D. and a MA in Economics from Yale University (USA). Maureen McKelvey is Professor of Industrial Management at the Institute of Innovation and Entrepreneurship, School of Business Economics and Law at the University of Gothenburg, Sweden. She has publishes in journals such as Small Business Economics, Research Policy and Applied Economics as well as books with Routledge, Oxford, Cambridge, and Edward Elgar. Professor McKelvey has had high level positions in expert groups and written reports, for Swedish organizations as well as for the OECD and EU. Professor McKelvey was the winner of the Scumpeter Prize in 1994. Her research addresses innovation management, entrepreneurship, and university-industry interactions. Dirk Meissner is Professor and Deputy Head of the Institute for Statistical Studies and Economics of Knowledge at Higher School of Economics (HSE), National Research University in Moscow, Russia. He is currently member of international working groups on technology and innovation policy. Professor Dirk represented Switzerland and now the Russian Federation at the OECD Working Party on Technology and Innovation Policy. Prior to joining the HSE Dirk was responsible for technology and innovation policy at the presidential office of the Swiss Science and Technology Council. He also has long experience in top level consulting to key decision makers in industry, headed the business unit industry studies and research with T.A. Cook Consultants which he successfully established and was management consultant for technology and innovation management with Arthur D. Little. He has strong background in science, technology and innovation for policy making and industrial management with special focus on Foresight and roadmapping, science, technology and innovation policies, funding of research and priority setting. He holds a Ph.D. from Technische Universität Dresden. Giulia Ajmone Marsan is an Innovation Economist in the OECD Center for Entrepreneurship, SMEs and Local Development, where she is currently co-coordinating the OECD/EC project (HEInnovate). She has worked on several OECD projects on innovation policy at both national and regional/local level, covering countries including Denmark, Sweden, Finland, Ireland, Belgium, the Netherlands, France, Norway, Korea, Chile and Costa Rica. She is the main author of the recent OECD report on Open Science. She has also contributed to OECD reports on rural and urban economic development. Her analysis focuses on innovation systems and science and higher education policy. She holds a Ph.D. in Economics and Complex Systems from the Ecole des Hautes Etudes en Science Sociales (FRA) and the IMT Institute for Advanced Studies (ITA), and Master and Bachelor degrees in Applied Mathematics from the Polytechnic School of Turin (ITA). Carlo Pietrobelli is Professor of Economics at University Roma Tre, Italy, Professorial Fellow at UNU-MERIT, Maastricht, and Adjunct Professor at Georgetown University, Washington D.C. He is also policy advisor on innovation and industrial development and policy to governments in Africa, Asia, Europe and Latin America. 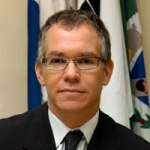 During 2009-2016 he was a Lead Economist at the Inter-American Development Bank, where he led the preparation of development loans in Latin America and the Caribbean on innovation and industrial policies, and on cluster and value chains programs, small and medium-sized enterprises and local economic development. He was Deputy Rector for promoting links between the University and the private sector and Head of Industrial Liaison Office of the University Roma Tre. His research interests range from development economics to innovation, trade and industry in developing countries. He holds a Ph.D. in Economics from Oxford University (UK). Robert Tijssen is Professor of Science and Innovation Studies at Leiden University, Netherlands, and Professor at Stellenbosch University, South Africa. He holds a visiting fellowship at University of Bologna (Italy). Professor Tijssen leads the Science, Technology and Innovation Studies (STIS) research program at CWTS. 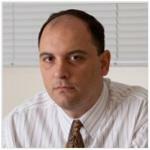 He is member of the editorial advisory board of Research Evaluation, an international peer-reviewed academic journal. His main interests concern the development and application of analytical frameworks and measurement models to assess general trends and patterns within the ‘knowledge triangle’ (higher education, scientific research, technological innovation). Part of his current research agenda are policy-relevant issues related to ‘innovative universities’, ‘research commercialisation’ and ‘academic entrepreneurs’. Gabriela Dutrénit is Professor of the Postgraduate Program in Economics and Innovation Management at the Autonomous Metropolitan University, Xochimilco Unit. She was General Coordinator of the Advisory Scientific and Technological Forum, AC, since 2012. She is a regular member of the Mexican Academy of Sciences (AMC), of the National System of Researchers (SNI), Level III, and of the International Scientific Committee of the Global Network for Economics of Learning, Innovation, and Competence Building Systems (Globelics). She is the coordinator of the LALICS network (Latin American Network for Economics of Learning, Innovation, and Competence Building Systems). She has coordinated various evaluations of Mexican science, technology and innovation policy, as well as managed and conducted the administration of multiple inter-institutional research and advisory projects, both nationally and internationally. In the last 20 years she has accumulated a wide experience in studies on the linkage of universities and research centers with companies, technological learning processes and the construction of technological capabilities in companies, and innovation systems. She holds a Ph.D. in Innovation Economics from the Science Policy Research Unit of the University of Sussex (UK). Nick Vonortas is Professor of Economics and International Affairs at the George Washington University (GW) in Washington DC, USA. He is a faculty member of the Department of Economics, of the Institute for International Science and Technology Policy, and of the Trachtenberg School of Public Policy and Public Administration. Professor Vonortas currently holds the São Paulo Excellence Chair at the University of Campinas (UNICAMP), Brazil. He is a leading research fellow at the Institute for Statistical Studies and Economics of Knowledge, National Research University Higher School of Economics (HSE), Moscow, Russian Federation. He also serves as a member of the Innovation Policy Forum of the US National Academies of Science. Professor Vonortas is an editor of the peer-reviewed academic journal Science and Public Policy. He holds a Ph.D. and M.Phil. in Economics from New York University (USA), a MA in Economic Development from Leicester University (UK), and a BA in Economics from the National and Kapodistrian University of Athens (Greece). Acs, Z., & Armington, C. (2004). Employment growth and entrepreneurial activity in cities. Regional Studies, 38(8): 911-927. Asheim, B. T., & Gertler, M. S. (2005), “The Geography of Innovation: Regional Innovation Systems”, in J. Fagerberg, D. C. Mowery, and R. R. Nelson (eds), The Oxford Handbook of Innovation, Oxford, Oxford University Press, 291–317. Audretsch, D. B. & Belitski, M. (2017). “Entrepreneurial Ecosystems in Cities: Establishing the Framework Conditions”, The Journal of Technology Transfer, 42(5): 1030-1051. Audretsch, D. B., Keilbach, M., & Lehmann, E. (2006). Entrepreneurship and Economic Growth. New York: Oxford University Press. Bettencourt, L., Lobo, J., Helbing, D., Kuhnert, C., West, G. (2007). Growth, innovation, scaling, and the pace of life in cities. Proceedings of the National Academy of Sciences of the United States of America, 104 (17), 7301–7306. Borissenko, Y., & Boschma, R. (2016). “A critical review of entrepreneurial ecosystems: towards a future research agenda”. [Papers in Evolutionary Economic Geography #16.30]. Utrecht University – Urban & Regional Research Centre. Boschma, R. A. (2005), “Proximity and Innovation: A Critical Assessment”, Regional Studies, 39: 61–74. Cooke, P., Asheim, B., Boschma, R. A., Martin, R., Schwartz, D., & Tödtling, F. (eds) (2011) Handbook of Regional Innovation and Growth, Cheltenham: Edward Elgar. Feldman, M. (2001). “The entrepreneurial event revisited: firm formation in a regional context”, Industrial and Corporate Change, 10(4): 861-881. Feldman, M., & Kogler, D. (2010). “Stylized facts in the geography of innovation”. In: Hall, B., & Rosenberg, N. (eds). Handbook of the Economics of Innovation, v. 1, North Holland: Amsterdam, 381-410. Fischer, B. B., Queiroz, S. R., & Vonortas, N. S. (forthcoming) “On the Location of Knowledge-Intensive Entrepreneurship in Developing Countries: Lessons from Sao Paulo, Brazil”, Entrepreneurship & Regional Development. Florida, R., Adler, P., Mellander, C. (2016). “The city as innovation machine”. Regional Studies, 51(1), 86-96. Fu, X., Pietrobelli, C., & L. Soete (2011) “The Role of Foreign Technology and Indigenous Innovation in the Emerging Economies: Technological Change and Catching-Up”, World Development, 39(7): 1204-1212. Glaeser, E. (2014). A world of cities: the causes and consequences of urbanization in poorer countries. Journal of the European Economic Association, 12(5), 1154-1199. Glaeser, E. (2011). Triumph of the city: how our greatest invention makes us richer, smarter, greener, healthier and happier. New York: Penguin Press. Isaksen, A. & Trippl, M. (2017) “Innovation in space: the mosaic of regional innovation patterns”, Oxford Review of Economic Policy, 33(1): 122-140. Katz, B. and Wagner J. (2014) “The Rise of Innovation Districts: A New Geography of Innovation in America”, Report, Brookings, Washington DC. Lee, J. D. (2016) “Middle-Income Trap: Transition Failure from Implementation Capability to Concept Design Capability as a Source of the Middle Income Trap” Presentation, HSE International Research Conference on Foresight and STI Policy, National Research University Higher School of Economics, Moscow, Russian Federation, October. Lee, K. (2013), Schumpeterian Analysis of Economic Catch-up, Knowledge, Path-creation and the Middle-Income Trap, Cambridge: Cambridge University Press. Lee, K. and Malerba F. (2017) “Catch-up Cycles and Changes in Industrial Leadership: Windows of Opportunity and Responses of Firms and Countries in the Evolution of Sectoral Systems”, Research Policy, 46: 338-351. Li, M., Goetz, S., Partridge, M., Fleming, D. (2016). Location determinants of high-growth firms. Entrepreneurship and Regional Development, 28(1-2), 97-125. Malerba, F., Caloghirou Y., McKelvey M., & Radosevic, S. (eds) (2015) Dynamics of Knowledge-Intensive Entrepreneurship: Business Strategy and Public Policy, Routledge. Radosevic, S., & Yoruk, E. (2013). “Entrepreneurial propensity of innovation systems: theory, methodology and evidence”, Research Policy, 42(5), 1015-1038. Stam, E. (2009). Entrepreneurship, Evolution and Geography. [Papers in Evolutionary Economic Geography]. Utrecht University – Urban & Regional Research Centre. Stam, E. & Spigel, B. (2016) “Entrepreneurial Ecosystems”, U.S.E. Discussion Paper Series, nr: 16-13, Tjalling C. Koopmans Research Institute, Utrecht School of Economics,Utrecht University. World Bank (2015) Competitive Cities for Jobs and Growth: What, Who and How, Washington DC: The World Bank Group.